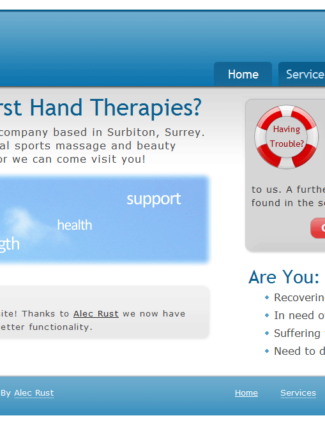 First Hand Healing was a remedial sports massage and beauty company based in Surbiton, Surrey. I worked with the company in 2009 to design and develop their first web presence. The simple brochure website included a secure PHP contact page and a modern design for the time.